Infiziert durch Goldies legendäres „Timeless“ Album zum DnB gekommen und seit den 2000er Jahren als Dj aktiv. Eigenen legalen und illegalen Parties als Deftek Crew mit Goku, Fiend und MC Gab folgten Gigs mit Leuten wie Phace, Misanthrop, Teebee oder Usual Suspects in München und über die Landesgrenzen hinaus. Musikalisch beeinflusst durch Techno und Ambient können Millens Sets sowohl atmosphärisch als auch hart sein. Munich-based CasCo started his journey into the world of drum and bass back in 2001. Supposedly like everyone else he went to raves and discovered the impulsive genre for himself – collecting records and buying 1210’s has been the natural next step. After practising for many years, CasCo has proven his skills and became an integral part of the SUSTAIN! 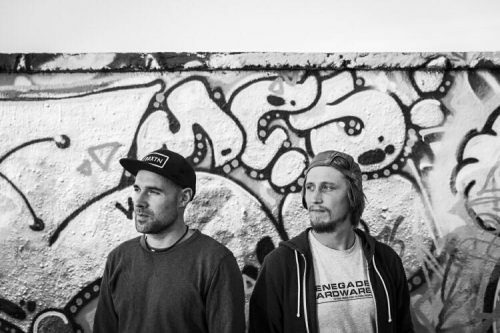 Crew – formerly known as „The Drum and Bass Issue“ – which has grown into one of the most popular and respected drum and bass nights in Munich within the last years.